The date for the big day has been set and the wedding party sits up with a list of a million odd things that remain to be organized! The first thing in the list is obviously to let your key guests know about the date as quickly as possible to facilitate them to make the necessary travel and hotel arrangements. Save the date wedding magnets are available in a range of styles including photocards and notelets among others. 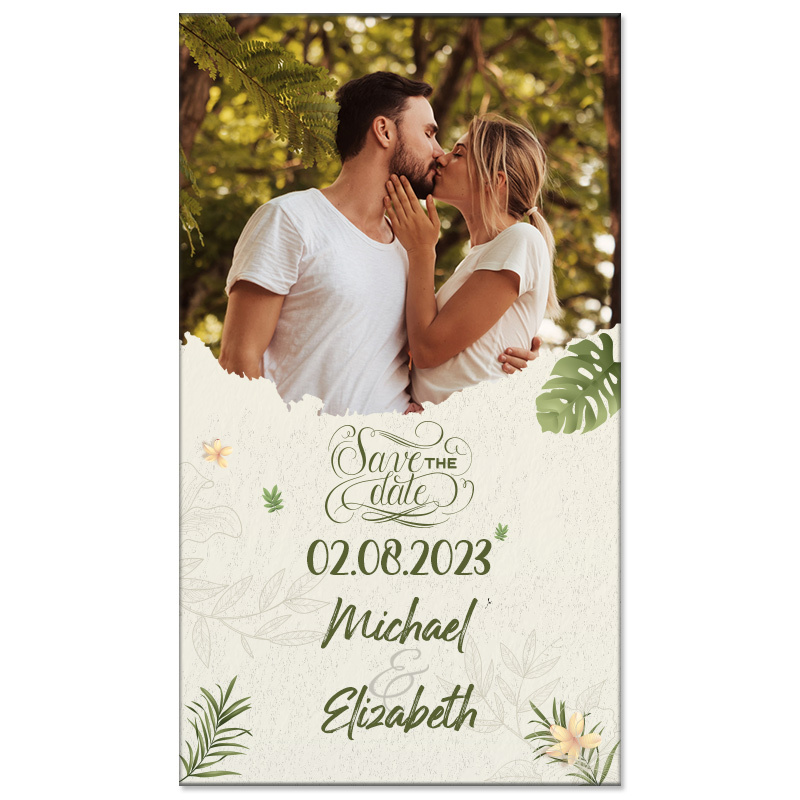 If the quizzical look on your face is any indication of why bother about these custom magnets when other traditional forms of invitation are available- here are few hard to beat advantages of the save the date wedding magnets that you cannot possibly overlook! Add a personal touch: These custom magnets that are always personalized with your details will show your guests, how important their presence is for you. Your guests will feel well appreciated when they get these personal notes with all essential details of the wedding day that will make them feel an important part of your day. These save the date magnets that arrive much before the actual invite will help them plan their trip well in advance and they will indeed appreciate this thoughtful gesture of yours! Durable: Ideally save the date cards are send 8-12 months before the wedding date. Paper cards have a high risk of getting damaged or ripped during this period. There can’t be anything bad than finding a tattered save the date card by the guests when they need it the most! 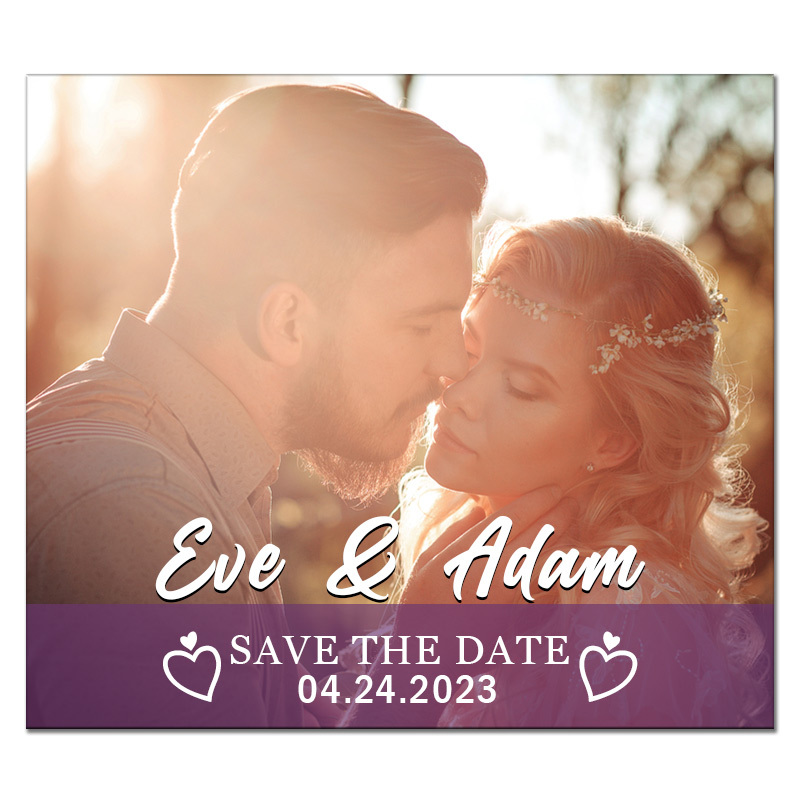 However save the date magnets are long lasting and can be safely stuck on the refrigerator door, filing cabinet, car dash board and infact any metal surface where they will find these easily. Keepsakes: save the date wedding magnets make adorable keepsakes and wedding souvenirs that most people prefer to retain as a token of affection of the new couple. By being a cheery reminder of the special moments and fun, these custom magnets will make your guests feel really special and important. There can’t be anything more important for a host than to make their guests feel that their presence is very much treasured on the day. The best part is that these custom magnets last longer than an email or a thank you card! Cost effective: custom magnets are cost effective options if you expect a reasonable number of guests as bulk orders always carry discounts and cash savings. These will work out way cheaper than custom or readymade save the date cards. Customization options: Custom magnets offer you amazing customization options that the conventional cards lack. You can be creative, funny or quirky while designing these magnets to show off your unique style to leave a personal stamp on these save the date cards. However make sure that the time is on your side when you opt for custom magnets as customization and ordering of these might take some days. Fashionable and functional, Save the Date magnets are a modern way to announce your wedding date to friends and family. When they see the date and venue details imprinted on these cards, they will help them to get prepared for the big event well on time.